As we continue sharing original ’67 Beetle accessories, our friend Sam Glen sent over some long lost Genuine parts from his own collection. Thanks so much for sending over, Sam! I just wanted to show how the latest conversations on “collectibles” jogged my memory. 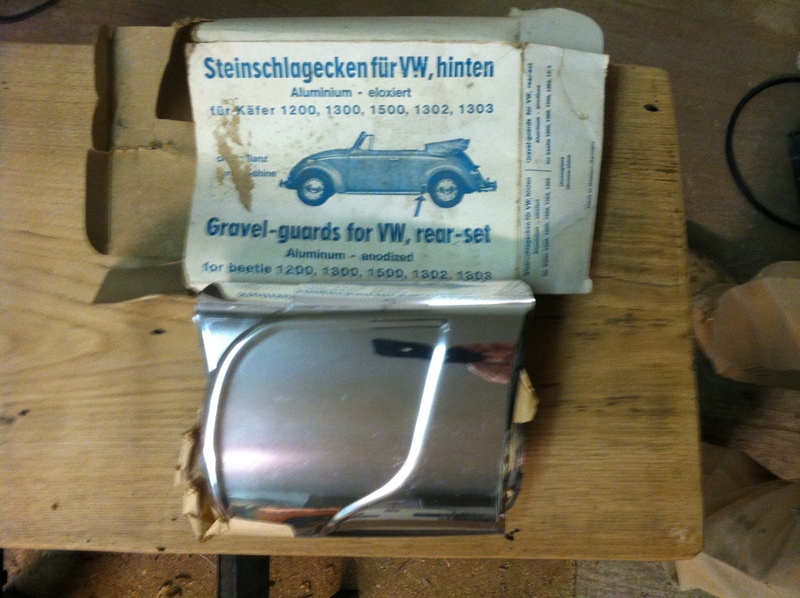 I bought these German gravel guards well over 20 year ago, put them up in the shop and forgot about them. After reading the neat stories Jay and the other folks posted, it stirred my memory, and guess what I found them again! Thanks, everyone. I really enjoy 1967beetle.com. Do you have a ’67 Beetle accessory you’d like to showcase? You’re more than welcome, Jay. It wasn’t much to offer in comparison to all the neat things you guys share on this site, I’m grateful for the wisdom you offer, along with Eric’s. To think, I just happened up on this site and I’ve watched it grow to what it is today. My 67 is what you would call a survivor, I guess , I have cherished it from day one, didn’t realize what I had til I found you fellas.